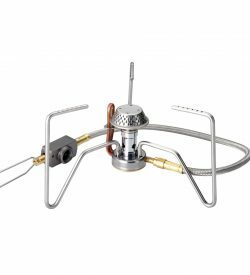 The Expedition has a double-pipe, anti-flare system to prevent liquefaction and gas flaring. 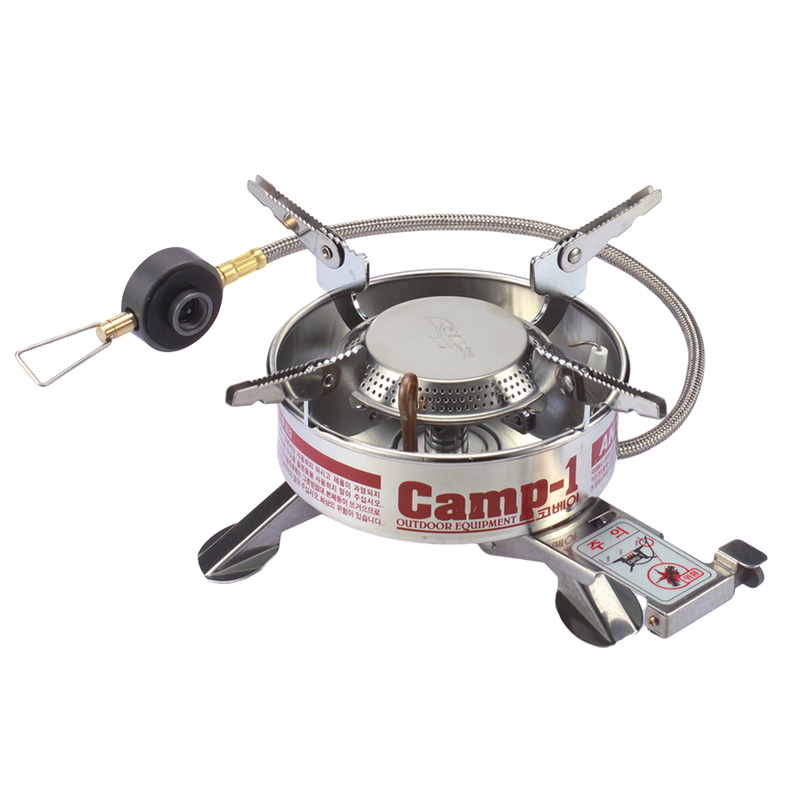 The ignition plate makes ignition easy and maximizes power, as wind breakers operate the pot supports. 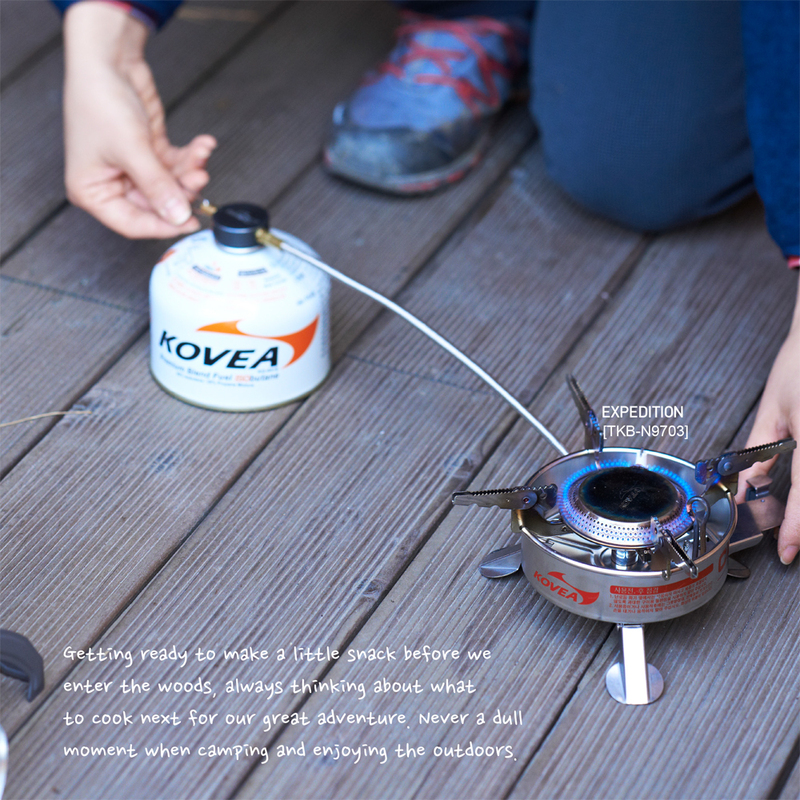 Foldable legs provide stable support for larger cooking pans. 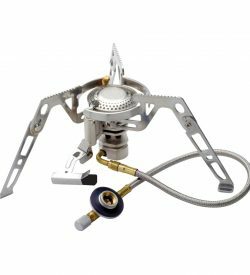 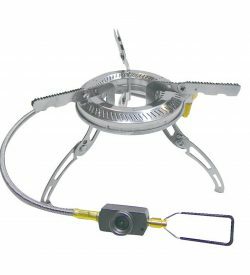 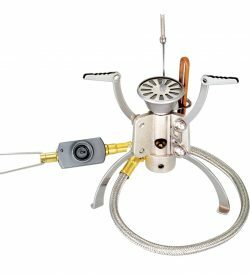 This stove is especially durable with its fluorine hose and stainless rustproof components.